It truly is green! 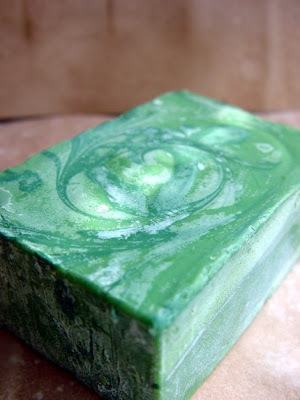 Scented of exquisite green things: basil and bamboo with a haunting backdrop of red sandalwood. This scent is very unisex and quite fragrant in the shower! It lathers a very pastel shade of sea foam, and rinses away clean and leaves you feeling soft and not stripped of your skins natural protective barrier! This is a truly amazing bar of soap. 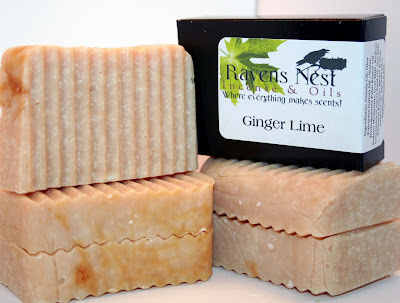 Layers of sweet citrus lime and exotic spicy ginger make for a great bar of soap! Full of rich butters and oils and skin loving coconut milk are tweaked with key lime juice for it's exfoliate properties. A definite must have. 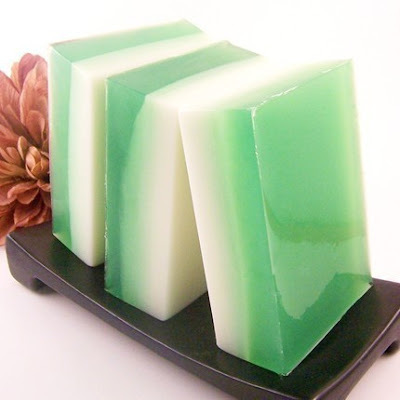 Our Coconut Lime Verbena Goat's Milk and Glycerin Soap has a luscious fragrant blend of fresh coconut, juicy lime and tart verbena warmed by vanilla and light musk. A very uplifting and energizing fragrance! 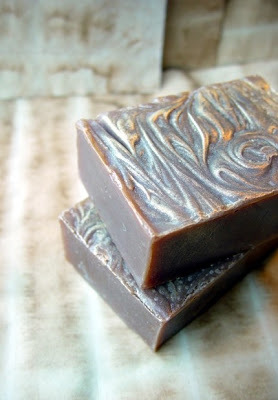 Soft, feminine and seductive this soap seems to seduce the senses in a clever way. Containing the sensual oil of Gardenias and the soothing aroma of Chamomile this soap attracts your feminine side in more ways than one. 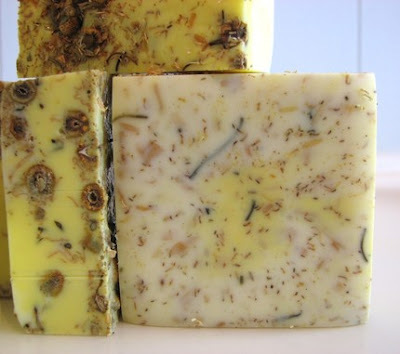 Chamomile floats throughout the soap for skin nutrition and calming properties, but also serves as an exfoliant. Enjoy! 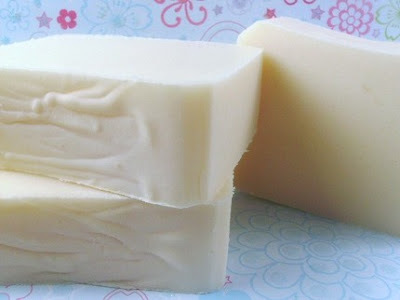 This is a very lightly coconut scented soap. I made this batch with coconut milk instead of some of the water. 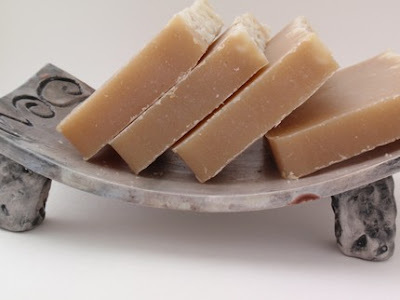 Coconut milk adds a nice creamy skin loving touch to the soap. 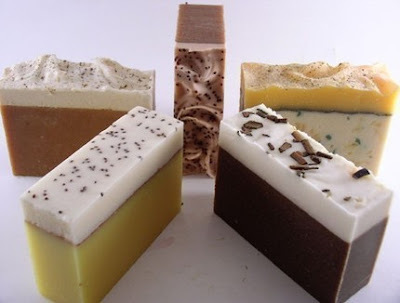 A great milk soap for everyone especially those vegetarians and vegans who have wanted to try a milk soap. This is what all you coconut lovers have been longing for! 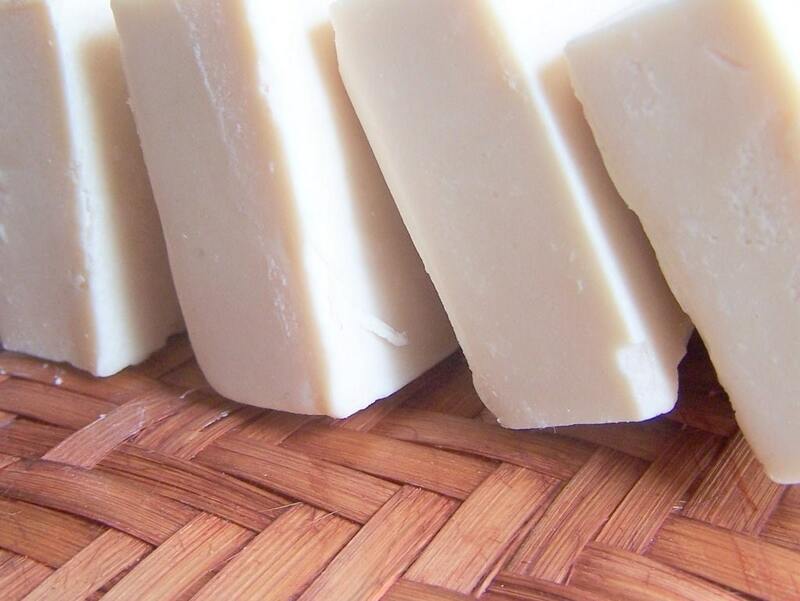 A true coconut scent in a creamy, ivory colored bar. Not overly sweet, and you won't smell like suntan oil! Just the fresh, clean scent of coconut meat. 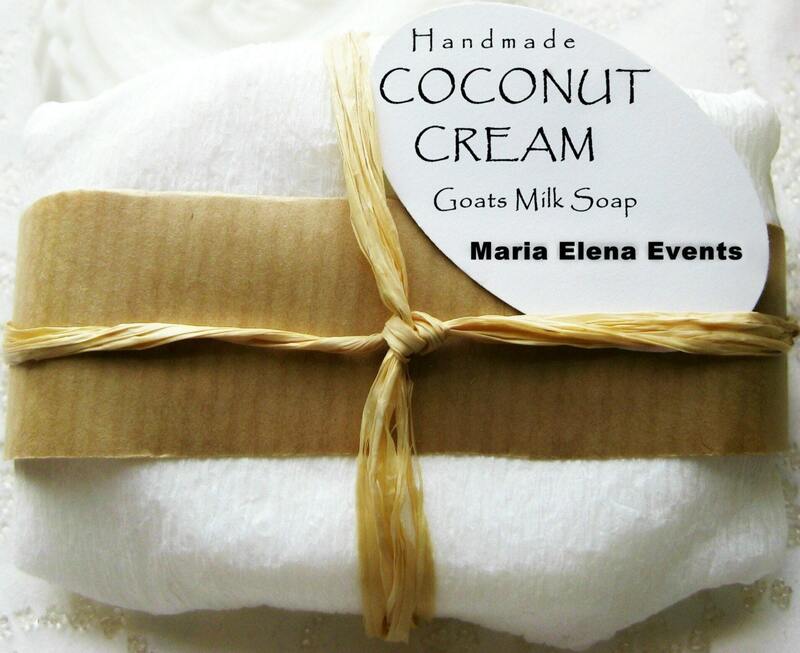 Made with coconut cream and shea butter for a truly luxurious bathing experience!